Since its establishment in 2013, Concordia University’s Sexual Assault Resource Centre has been a one-woman show. 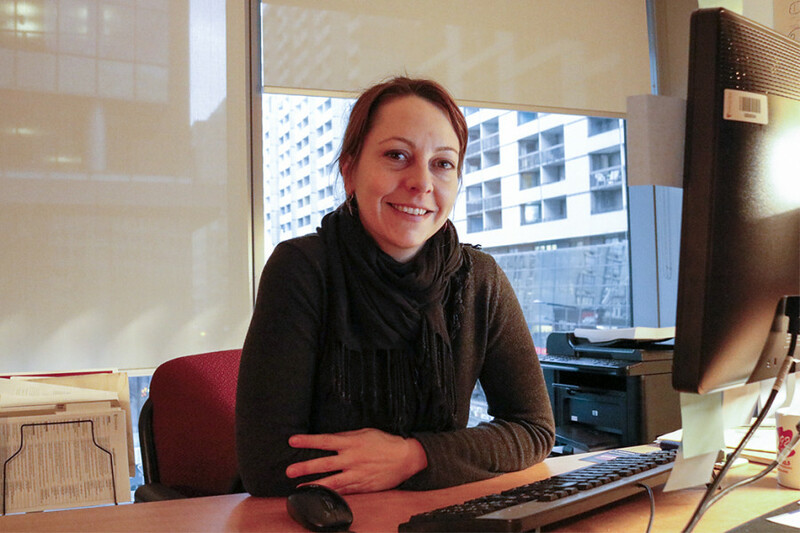 Hidden in a labyrinth of hallways in the GM building on the downtown campus, its coordinator Jennifer Drummond held all of the responsibilities related to the management, counselling and volunteer-coordination of the Centre. As of last month, a little bit of weight has been lifted from her shoulders. The SARC has hired a service assistant. Ashley Allen is the second person to be hired as a paid employee. Allen’s job as a service assistant is to ensure that the ship sails smoothly. She will handle some of the administrative duties that Drummond was previously managing herself. The ultimate goal with the new hire was to free up some of Drummond’s time so that she could work on different projects and focus on supporting the people who come through her office. The new hire is a big step for the centre, which is still in its infancy. Until Allen was brought on, Drummond was the only full-time employee. With the help of a volunteer team of about 15 people, Drummond has been providing one-on-one counselling support. The SARC also offers a drop-in area for students, where, from 10 a.m. to 4 p.m. on weekdays, anybody can pass by to receive support and talk to a volunteer. The space is separate from Drummond’s office. Volunteers can accompany survivors to other services and appointments, on and off campus, if they would like someone to come with them. Allen’s job will also entail scheduling the drop-in volunteers. For Drummond, even with the help of volunteers, Allen, and other university resources such as Health Services or the administration, supporting the many students come through her office on the third floor of the GM building requires a lot of energy. “It’s a lot of work. I am still alive—and managing,” Drummond said. A lot of people come through Drummond’s office—a cozy, warmly lit place overlooking the downtown campus. “It’s more than you’d think,” she said, adding that she notices periods where the volume of people coming to talk to her increases. The SARC can be hard to find if you don’t know where to look. Coming out of the elevators on the GM building’s third floor, one is met by a maze of grey-ish hallway. There is little to no signage, save for a few pieces of paper taped up here and there. “Sexaul Assault Resource Centre,” written in black ink directs visitors down to the hallways and to the SARC office, nestled obscurely among other offices, like Facilities Management. The drop-in area is intended to help with that. Ideally, there is always a volunteer to talk to. A reception desk for the SARC would make a difference, explained Drummond. Especially, she said, with a service assistant behind it. When the SARC formed in 2013, Concordia gave it $173,182 in seed money. “While they were conceptualizing [SARC], they didn’t know what was going to be used or needed,” explained Chris Mota, the university’s spokesperson. With another staff member, Drummond’s time can be used more effectively to educate, advocate and provide support for the Concordia and Montreal community. “[Drummond] has become the subject expert in the city,” noted Mota. Current statistics show that one in every four women, and one in every six men will experience sexual assault in their lifetimes. Those numbers can be narrowed down further to find that about 15 to 25 per cent of university-aged women, 18 to 24, will experience some form of sexual assault during their educational careers, according to a 2008 study. In order to support a large institution like Concordia, more adequate facilities need to be provided to students, explained Drummond, so that no one encounters closed doors when they seek help. Before the existence of the SARC, Concordia didn’t have a specialized centre for dealing with issues of sexual assault and violence. Students had to seek help elsewhere or use broader aids at the school such Health Services, or Counselling and Development, said Mota. Despite all of this however, Drummond is very passionate about her work and ultimately feels that the university is making a solid effort to support her and the SARC. Considering the nature of the job, Drummond recognized the emotional toll that her position can foster.